Hello everyone, my name is Ross, and I’m new to Daffnet and thought I’d introduce myself. I live in central Alabama and have been growing daffodils for about 15 years. I found Daffnet while researching N. viridiflorus and was fascinated by all the photos and hybridizing work and research presented here. I joined the ADS two years ago. 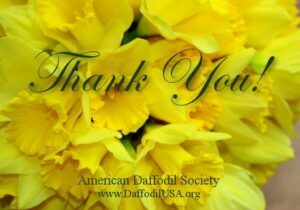 I’m interested in breeding and photographing daffodils and connecting with other daffodil enthusiasts. So far, I’ve raised three generations of different strains of N. jonquilla with various shapes and bloom times, but due to frequent moves and poor record-keeping, lost all information about them. I also have some standard daffodils in their second year. I have a permanent place to grow daffodils now, and plan to be more systematic about my breeding and record-keeping. I look forward to reading and learning about others’ work and research. Welcome Ross. In your region you should be able to grow tazettas. I will have excess seed this year and will be happy to share some with you iof you are interested. let me know. Welcome, Ross. I look forward to hearing about your seedlings in the future. Thank you both. Harold, I would love to try some of your tazetta seeds. Welcome Ross, I am in SC and breed Tazettas mostly. Feel free to email me if you’d like to discuss daffodils . Harold, if you have extra seeds I would love to try some here in SC. You will need to remind me in about a months time. Hi, Ross, I live near Nashville, TN and grow N. jonquilla and several other species from a variety of sources. I love that the N. jonquilla from different sources (“Copperhead”, “Early FM 992”, “Early Louisiana”) bloom at different times and I also have N. fernandesii var. cordubensis, N. fernandesii var. fernandesii, and N. jonquilla var. henriquesii. They all seem to clump up well here so would be willing to share or swap some when I dig. My email is . Hi, Bradley, do N. jonquilla do well for you in SC as well?